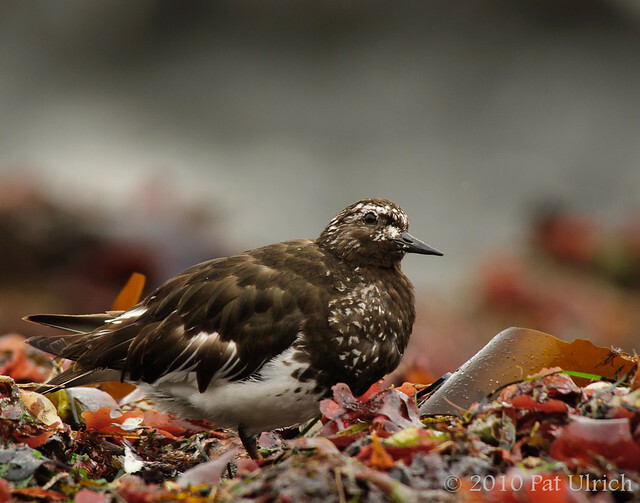 Reaching into the archives after a busy week of traveling, here are two shots of a black turnstone in the intertidal area of Pillar Point Harbor at low tide from last August. I've had so many interesting settings in which to photograph shorebirds there, from seagrass to bulbous pods, and the red color of this kelp really makes for a unique foreground, I think. 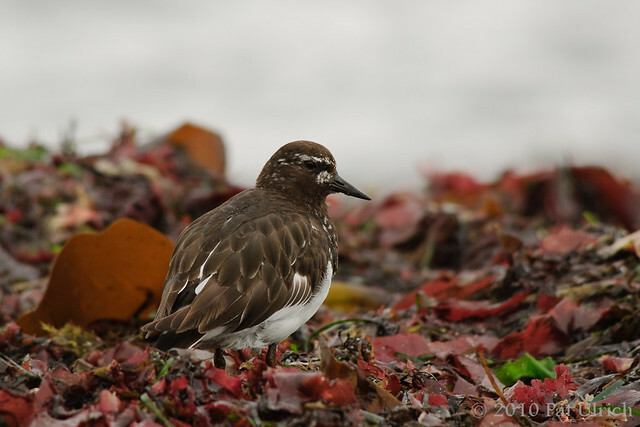 Submitted to World Bird Wednesday -- follow the link to see this week's submissions!